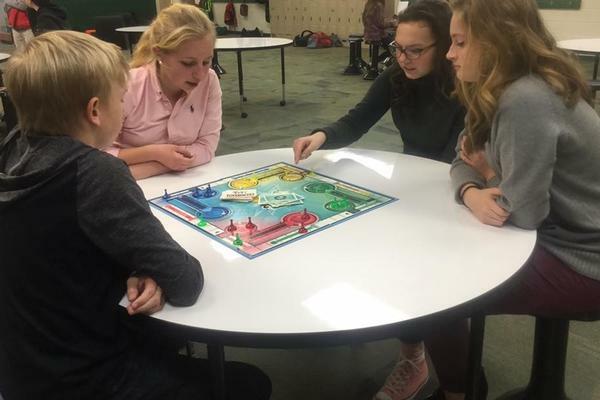 Westfield's Media Centers are being redesigned into spaces where students can explore, collaborate, learn and create with access to books, computers, marker boards, green screens and other mediums. 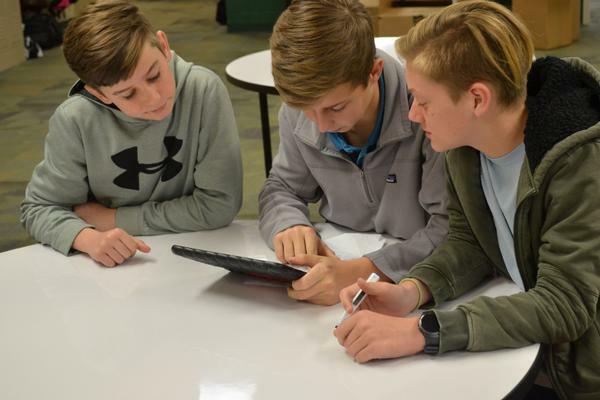 By combining the library and technology services into one, robust department, Westfield faculty promotes literacy by provide engaging, thought-provoking and interactive learning experiences for our students. These spaces are being created to peak the natural curiosity and creativity of students and to provide our teachers with additional resources and work stations to support a variety of modern teaching and learning opportunities. The Media Centers have a variety of distinct areas, each offering individualized, self-directed learning opportunities for students where they can interact with content and classmates to bring classroom lessons to life. We are driven to ignite a passion for learning among our students and to create life-long learners. Preparing our graduates for college today means cultivating students who think creatively, work collaboratively, communicate effectively and are constantly learning, and our new Media Centers allow us to do just that. Each space is tailored to generate the maximum visual appeal and functional use for the different age groups each center serves. . 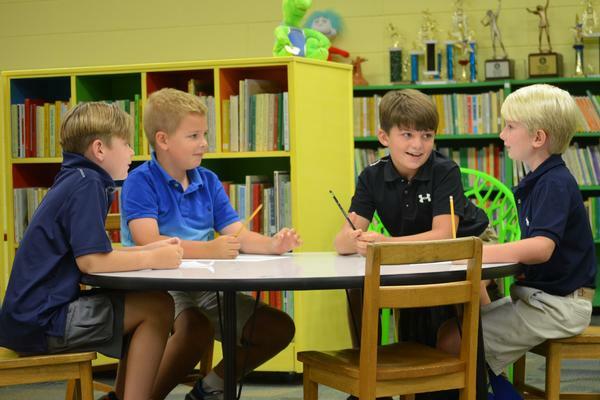 The Lower School Media Center offers a bright, energetic and customized multi-sensory learning space. A new reading area enhances ongoing Library enrichment. Computer work stations will remain in the technology lab area of the Media Center where technology enrichment classes will meet. 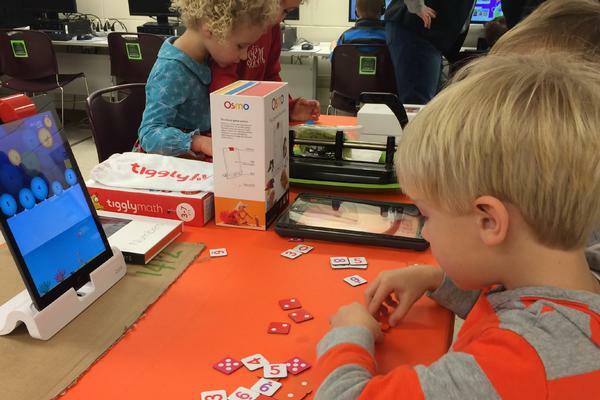 The Maker Space areas and devices such as Tiggly, Play Osmo, Makey Makey and others are dispersed throughout the Media Center at various mobile work stations. The Media Center includes a green screen area, washable marker board tables, Lego zone and more! A mobile technology carts housing 20 PC laptops equipped with a variety of educational apps is available for Pre-K through 5th grade. The Middle School Commons will be an appropriate “tween” space with a higher degree of comfort and collaboration in mind. Students enjoy modular furniture that can be configured for small group discussion and assignments along with marker board tables for brainstorming ideas and developing group projects. The Upper School Media Center will be transformed with new colors, furniture, work spaces and laptop auxiliary while continuing to house a library and up to ten computer stations. Research, collaboration and creation continue to be the focus of this space with ample room for multiple groups or individual students to co-construct and problem solve any variety of assignments. A green screen will be added, along with iPads, snap circuits, SAT prep and Osmos devices. We envision the new space having designated quiet areas, as well as medium noise and group collaboration areas.